Theresa (nee Mustachio) Vincent, 84, passed away peacefully at her home on Wednesday, January 16, 2019 with her loving family by her side. She was born in Bloomfield, NJ and moved to the Ironbound Section of Newark at an early age. Theresa was a Food Service Worker at Prudential Insurance Co. for many years. Wife of the late Joseph Vincent; devoted and loving mother of Domonick A. Vincent and his wife Kathleen, Thomas Vincent and his wife Maria, Mark Vincent and his wife Karriann and the late Joseph Vincent, Jr.; dear sister of Jo Ann Malba, Judith Marie Mure and the late Rose Spinazzola; cherished grandmother of Joseph, Thomas, Ryan, Tina, Carly, Nina, Jenna and Michael. Also survived by 5 great-grandchildren. 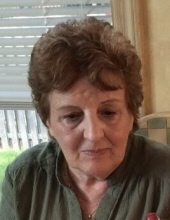 The Funeral Mass for Theresa will be held on Saturday, January 19, 2019 at 9:30 am Our Lady of Mt. Carmel Church, Newark, NJ. Interment to follow at Holy Cross Cemetery, North Arlington, NJ. Relatives and friends are welcome to attend. To send flowers or a remembrance gift to the family of Theresa Vincent, please visit our Tribute Store. "Email Address" would like to share the life celebration of Theresa Vincent. Click on the "link" to go to share a favorite memory or leave a condolence message for the family.